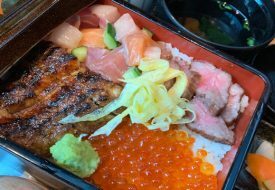 The name Teppanyaki Hamburg Nihonbashi Keisuke Bettei is no doubt a mouthful, but there’re just a few things you ought to know about Chef Keisuke Takeda’s newest restaurant. 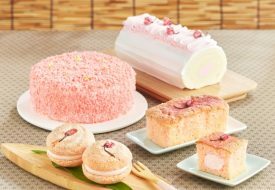 First of all, it’s Chef Keisuke’s 12th dining concept, after a series of popular establishments such as Ramen Keisuke Lobster King and Gyoza King. A Japanese hamburg steak is an Asian take on the salisbury steak and typically prepared on a teppanyaki grill — no buns involved. Secondly, it focuses mainly on hamburg steaks (pronounced hahn-bah-gu). For the curious, a Japanese hamburg steak is an Asian take on the salisbury steak and typically prepared on a teppanyaki grill — no buns involved. Following the formula of his other restaurants, Teppanyaki Hamburg does comfort food well, with options aplenty to suit different tastes. To ensure quality, prime US beef patties are freshly ground and formed to order before being seared on a teppanyaki grill and served on sizzling hotplates. Diners can also customise their meal with a delectable spread of osozai (Japanese side dishes). The rotating line-up features 20 items daily, including cha soba salad, simmered pumpkin, and pickled cabbage. If you’re a cheese lover, the choice is a no-brainer. The mains menu is kept simple and fuss-free. 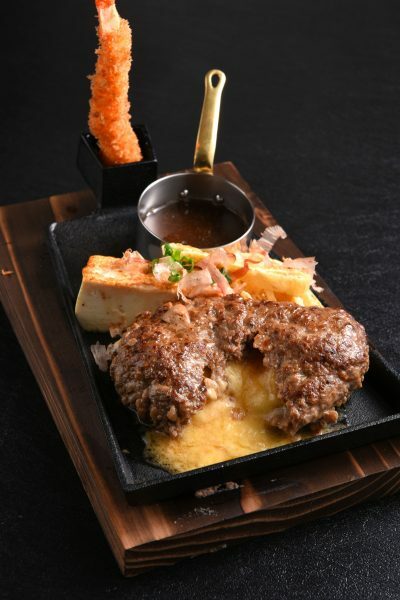 Simply pick between the Keisuke Prime Beef Hamburg Set ($18.80) and the Triple Cheese Prime Beef Hamburg Set ($20.80). The Triple Cheese Prime Beef Hamburg Set, which comes with a 180g patty, is stuffed with a medley of cheddar, mozzarella and parmesan. Slice it apart, watch it ooze and enjoy. 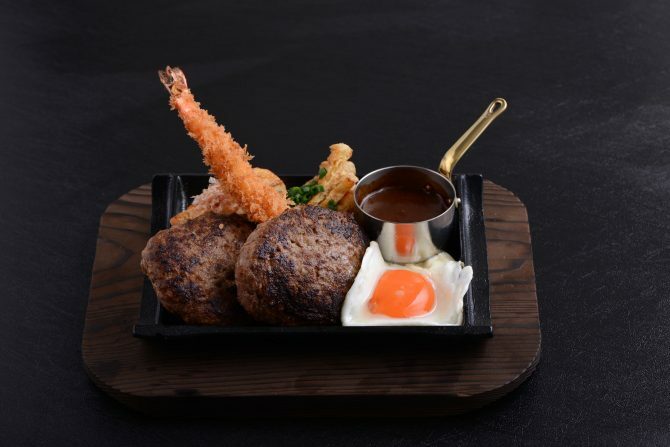 Made for big appetites, the Keisuke Prime Beef Hamburg Set comprises 150g of prime US beef shoulder that is minced into two sizes such that when mixed together, provide optimum bite and texture. The set also includes an ebi furai (fried shrimp), strips of aburaage (fried beancurd) and tofu with bonito flakes. 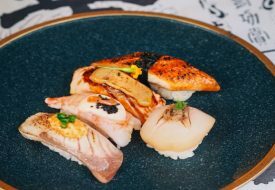 To truly personalise your hamburg, pick from four different sauces: Keisuke original sweet and spicy sauce, Demi-glace, Oroshi ponzu (radish with vinegar) and Teriyaki. Then, you’re all set for a satisfying meal and an inevitable food coma after.